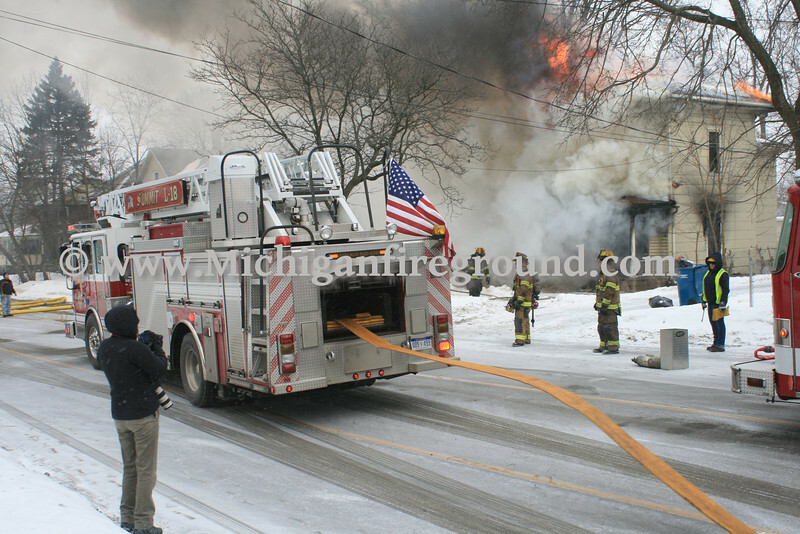 Welcome to Michiganfireground.com by photographer Michael Keith. I have been involved in the emergency services field and a photographer since the early 80's. This website has been created as a result of many inquiries to make my photography available to the everyday heros that are out there day and night making a difference. I hope these can be beneficial to you. The majority of these photos were taken in Ingham County, home of Michigan's State Capital, but on occasion I have been at incidents in other areas. Please check back often, not only will new incidents continue to be posted but I will continue loading older images as well. All archived digital material has been uploaded, dating back to 2004. The process of scanning and uploading older prints from negatives will take longer but will proceed. Feel free to leave comments below a gallery or a photo. There are MANY print sizes, styles and gifts available from these images, you can also crop an image to your liking when ordering. Just click on an image and then click "buy: this photo" to see the possibilities. This website is funded solely by your purchases! Thanks for visiting. Please note: The focus of my photography is to feature the people that give of themselves to aid others, the obstacles that they had to overcome, and the equipment they used to do it. It is my practice and intent to avoid taking photographs which identify injured, sick or dying patients. Sometimes this is hard to avoid. When there are photos posted on this website that show identifiable images of patients, those identifiable features will have been altered before the photo is posted. Thank you for your understanding. If your department has scheduled live training that you would like to have featured on this website, please drop me a note and I'll try to attend! © All Rights Reserved - No Usage of ANY image or content on this website is allowed in any form without permission. Unauthorized use or reproduction for any reason is prohibited. Contact me at the link above if you have questions or want to publish any of the images on this site.